When planning a trip to Italy, figuring out what to do in a country with so much vast cultural heritage can be quite intimidating. The simple question, What to do in Florence? Can be more complicated than it seems. It may seem completely normal to visit three museums in one day in Florence, but truth is, that can be exhausting. I embrace the slow travel philosophy. Instead of rushing to see every major site, why not just picking a few distinct places (and not always the most famous), and take your time to just soak in the atmosphere of any given place. After all, this is your vacation, and part of that is being physically and mentally, well-rested. Since I often get questions about where to go and what to see in Florence, I thought it would be easier to compile a list of personal recommendations based on my my own and friend’s experiences. Upcoming exhibits, interesting updates on the more famous museums. Also Smaller, lesser-known museums and boutique shops that carry a true line of made in Italy goods, since there is also a lot of crap in souvenir stalls around town. This page is constantly updated and revised to give you the best, most latest information. Duomo peeking among the stands in San Lorenzo (not where you will find true made in Italy goods, sadly). Every month I write a post with my top pick’s and events around town so be on the lookout on the homepage and check out this awesome guide to Florence that a few bloggers and myself collaborated on a few year’s ago and this recent guide I completed on the Santo Spirito neighbohood. Don’t miss this guide on cutting-edge Florence that I did for Lonely Planet. Also I highly recommend checking out these tips on meeting friends and locals via various groups in town. Need foodie recommendations? 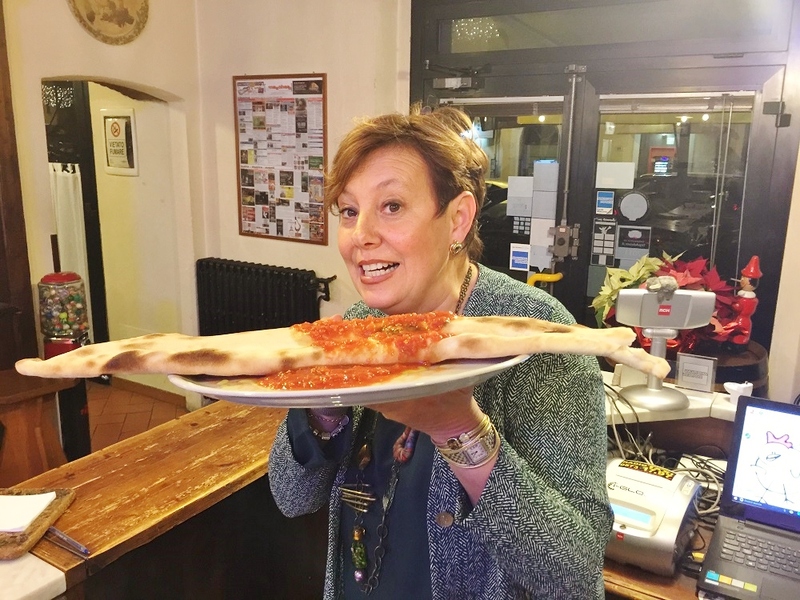 Here’s my ‘Eat Florence’ list (that changes almost daily) at the ready! Oh yeah, Need free WiFi? Check out this list. Each week I want to share where I ate, drank and generally was ‘merry’ just to give you a little insight of my daily life in Florence. I’m eating… brunch at the new Floret terrace restaurant in Luisa Via Roma on the weekend and grabbing a cheeky lunch at Trattoria Sergio Gozzi with friends (order the polpette fritte, trust me). I’m drinking a craft beer by Archea at new gastropub Pint of View in Santo Spirito or a gin-ginger fusion at Manifattura. Look for creative concoctions with hilarious descriptions by two of the city’s best bartenders at Mad Souls & Spirits. I stopped by.. Palazzo Vecchio for a walk in one of my favorite museums in Florence, the civic seat of the city throughout history, and up to Arnolfo’s tower for one of the best views in town. 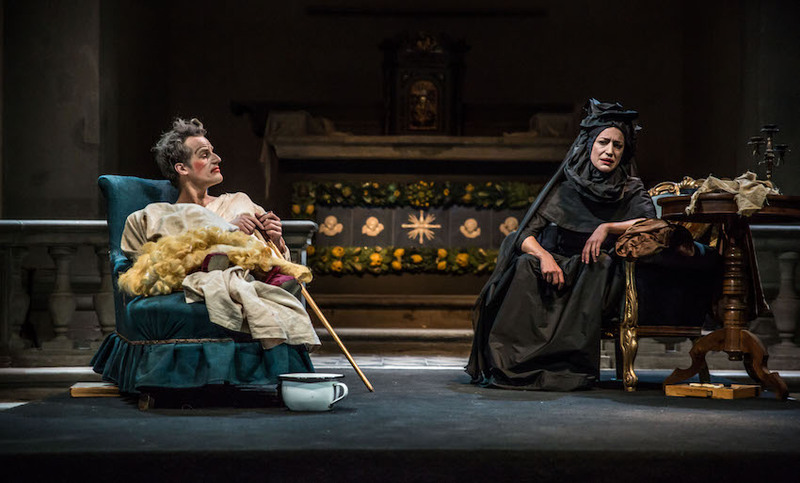 I went to the Medici Dynasty Show at their new location in an old Church on via faenza. This one hour show showcases 300 years of Florentine history focusing on two members of the famous Medici family. The script has undergone a revamp by Marissa Greffy and check out the personalized jewelry by Sara Amrhein available for purchase. Highly recommend doing this on your next trip to Florence! I left Florence for…America to visit family and friends for the holidays. I’m happy to be back but it really made me think.. I shopped at.. Obo Bottega on Via Romana for graphic-design edgy gifts with Florentine themes. The coasters, plates and homewares make for great gifts for those who appreciate our Renaissance city. Nico got me a wonderful ‘eco watch’ from a cool store called MIO on via della spada 34. Here you can find up-cycled recycled objects from young local designers including jewelry, sustainable objects, crumpled maps, and even items from local street artist Clet, it is a definitely cool space and they take great care on what they choose to sell in the shop. Perfect for gifts (to yourself too). ps. I am currently working on a San Frediano neighborhood guide to further showcase what I adore about this area of Florence. I think art is something that can be enjoyed by everyone, we all get a different reaction from seeing precious ancient (and contemporary art) so I definitely would include a few visits the next time you are in town. You guys don’t really need me to tell you about the most famous sites in Florence, there is so much cultural heritage in this city. I would absolutely recommend a first time visitor head to the Uffizi, visit Michelangelo’s David and quite naturally the Duomo cathedral and Baptistery. I do however, have more of this info on my ‘before’ section. *Insiders Tip: The Grande Museo del Duomo Museum is probably the best new open in the past few years. It contains hundreds of artifacts that once made their home inside the Duomo cathedral complex and its intuitive design makes it a really pleasant visiting experience. I highly, highly recommend a visit (plus you can see Ghiberti’s original “gates of paradise” doors, the ones in front of the baptistery are a reproduction. Also visitors can get an ever better view of some of the city’s most important spots via these private tours operated by the museum even now. Notable tours (that I have personally tried) include touring the Duomo’s terraces (1 hour visit) and the restoration workshop (30.00€ per person). It always surprises me that so many places on this list never get visited by first-time visitors. There is more to Florence than the Uffizi, trust me. Here are a few options. I cannot say enough how awesome this vast Renaissance villa really is. Besides the Boboli Gardens, I really love that there is so much variety in things to see here. Choose between the Palatine Gallery, the Silver Museum, the Costume Museum, the Porcelain Museum, the Gallery of Modern Art, the Royal Apartments and the recently acquired Contini-Bonacossi Collection. Give yourself a few hours and better yet, hire a guide. Palazzo Strozzi is one of my most recommended spots to visit for those looking to see art shown well in Florence. A private foundation, their goal (from 2006) is to bring international quality exhibitions and cultural events to Florence and Tuscany and they have certainly managed to do that. They currently range two exhibitions a year and their CCC Strozzina space is a delightful add-on showcasing an edgier side. Formerly a barracks and prison (and was the first seat of government in Florence), this art museum dating back to 1255 is in the heart of the historical center and (in my opinion) one of the best. It has a wonderful collection of works of art including many Renaissance sculptures, bronzes and metal works. During the summer months, they often host theater, music and dance events in the beautiful inner courtyard. The Dontatello & Michelangelo rooms hold the most important works of art. address: Via del Proconsolo, 4, 50122 Firenze. Open Mon-Sun, 8:15-5pm. Full: € 4,00, Reduced: € 2,00, During temporary exhibitions, cost jumps to around € 7. 10 minutes walking from the station to the museum, otherwise you can take buses 14, 23 or A. Current exhibits can be found here. Towards piazza liberta, I highly recommend the Stibbert Museum for kids and men alike because it is so darn cool. The former private collection of an Englishman, this vast space holds all sorts of collector’s favorites, including an amazing weapons collection and beautiful tapestries. If only my home was like this. Florence’s historic seat of power and medieval fortress dates back to the 13th century on top of Roman ruins (it was said to have been a Roman theater) by Arnolfo di Cambio. It’s one of my favorite places to bring people, because after all how many places in the world can combine Roman ruins, a Medieval fortress and ornate Renaissance chambers in one iconic place that still serves as the city’s symbol of civic power. Its original purpose was to be the home of the city council made up of the powerful Guilds of Florence (also known as the Priori) who governed the Republic of Florence. Additions were added during the Renaissance (such as the beautiful Salone dei Cinquecento (Hall of the Five Hundred) and it is also possible to visit the Roman ruins below which are very, very interesting. You can read more about it via this helpful article on Visit Florence. You can’t come to Florence and miss walking up to one of the best panoramic points (better than piazzale michelangelo) in Florence, San Miniato is one finest Romanesque structures in Tuscany and it feels just as old as it looks, with construction beginning in 1013. address: Via delle Porte Sante, 34, 50125 Firenze. Free to visit. I also have this on my ‘urban hike’ itinerary for anyone who wants to see some of my favorite spots on foot. One of my favorite churches in Florence, every-time I visit I am surprised it is so empty. This former Dominican convent is home to a plethora of important art, and architecturally is quite fascinating as well, I wrote about the library by Michelozzo located inside earlier this year. The frescoes keep me coming back for more, and you can get a peek into ‘monk life’ and the ex-cell of Savonarola, the infamous friar who was burned at the stake in piazza della signoria. My advice is to come with a guide. Piazza del carmine has recently become pedestrian only, which is quite refreshing when you think that this piazza used to be a glorified parking lot. It is also home to the Santa Maria del Carmine church and the famous Brancacci chapel, where you can see two layers of frescoes commissioned in 1424 by a wealthy Florentine merchant, Felice Brancacci. The frescoes here illustrate the life of St. Peter, who can be identified by his orange gown, completed by artistic genius, Massaccio. The inner cloisters and courtyards are quite lovely. Vitals: Cappella Brancacci, Piazza del Carmine, 50124 Firenze. Open daily 10am- 5pm, Entrance fee €6. Santo Spirito church. Only open in the mornings 9:30am-12:30 (closed on Wednesday), this simple facade that began as an initial Augustinian complex, is my absolute favorite in Florence, it hides a beautiful feat of architecture and tucked in a corner chapel, a wooden cross made by Michelangelo. Free to visit, I love wandering here are on any given day, even just passing through for a few minutes of blissful solitude. Bardini Museum & Gardens. The museum of Bardini is hardly on the tourist radar but is a great place to visit together with the adjacent gardens. Housed in a 18th century Palazzo, the collection by Stefano Bardini includes sculptures, paintings, furniture pieces, ceramic pieces, tapestries and even old fragments from the city itself. Often overshadowed by its more famous sister Boboli, Villa Bardini is often our favorite place for an afternoon of leafy respite on a hill following Costa San Giorgio located on the Oltrarno side of the river. A lovely area on several levels (make sure to look for the Belvedere Terrace for a stunning view of the city) boasting a shady wisteria archway, bordered by hydrangeas. Bardini once belonging to the Mozzi family in the 13th century, however the gardens have had a total revamp over the centuries by antique dealer Stefano Bardini in the early 1900’s. Museum Bardini address: Via dei Renai, 37. Special Museum: Florence’s Natural History Museum. This place is beloved by locals and showcases taxidermied animals of all types, wax anatomical models and skeletons in the Oltrarno area of town. La Specola’s name derives from “observatory” and it also happens to be the oldest public museum in Europe! Yes it’s a little weird but that’s exactly why I like it. address: Via Romana, 17. Also check out these (free or almost) museums that people don’t even know exist. Museo Novecento. Finally there is a space for art made in the 1900’s. This is the newest player in the Florence art scene and takes over a large space in piazza santa maria novella. It also features artists in ‘When The World Answered‘ by Jane Fortune and Linda Falcone. Piazza Santa Maria Novella, 10, Firenze, On Fridays, opening hours are extended until 11pm. San Niccolo Tower. This tower is one of the few remains standing from the old walls that used to surround Florence. I particularly love this place because it is in one of my favorite sides of town and the view from here is pretty amazing. They offer evening guided tours (in Italian and English) daily, every half hour, starting from 5:30pm-8pm. For information and reservations: Tel. 055-2768224 055-2768558, Mail info@muse.comune.fi.it. address: piazza poggi. I’m a girl, I love to shop (duh), and without a doubt you can find some great options. I would skip the high-street garb on via calziuolo, with the exception of Luisa Via Roma, which always has a lot of fun items. 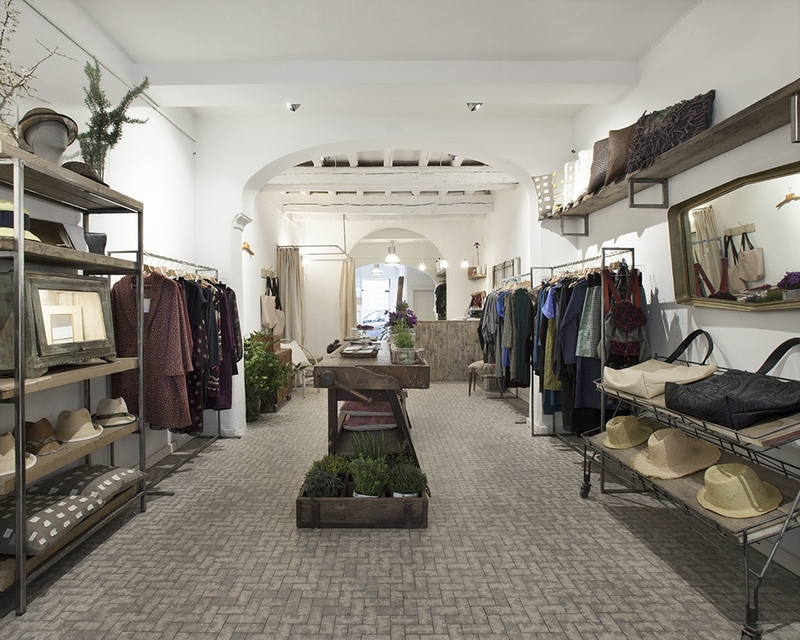 Florence is home to so many small, boutique shops with artisans making true made-in-Italy wares. Here are a few of my favorites, divided by neighborhood. CLOTHING | Luisa Via Roma, 19/21r. You can’t help but peek at the ever outrageous and interesting windows of Luisa Via Roma while walking along one of the most popular streets in town, but go inside and have a peek as well to see what’s in style in Italy. They feature many famous brands and up and coming designers, plus they have a cool cafe’ upstairs. Their e-commerce is also impressive. CLOTHING | Tacs – Artigiani del Panno Casentino, Borgo Santi Apostoli, 43. When it comes to unique textiles, this place has a 50 year trajectory of success for their quality made long coats, wool jackets, hats, for both men and women. They can make-to-measure, and everything is created with their special Cosentino wool who’s beautiful jackets are a serious staple for well-heeled Florentines in the know. They have an outlet in the Tuscan area of Cosentino. CLOTHING | Guya, Via Calimala, 29. A cool concept store stocking up on luxury designer duds since the 1970’s, they now feature international designers and I love the beautiful shop as well. They love the colors black and monochrome styles. website. 055 280906. High-end vintage clothing and accessories in a hidden square in the center of the city. There are some truly special items here and I like that they also stock lesser-known designers. Open Mon-Sun 10am-8pm, website. LEATHER | Ben Heart: two locations in Florence, Via dei Cimatori 25 R & Via della Vigna Nuova 97 R. This leather shop is quite a find, the Florentine owners (two friends) opened up shop after one had a heart transplant and thus a new lease on life. All of the products here (think leather jackets, bags, customizable belts, shoes) all are excellent quality and are hand-dyed (something you never see). I also appreciate the fact that the style is a bit more trendy than the classic leather goods you find at the leather school by Santa Croce. CLOTHING | Boutique Nadine, Via dei Benci, 32. One of the best little shops in Florence, the designs are unique and vintage-inspired, with plenty of interesting knickknacks along with clothing for both men and women. 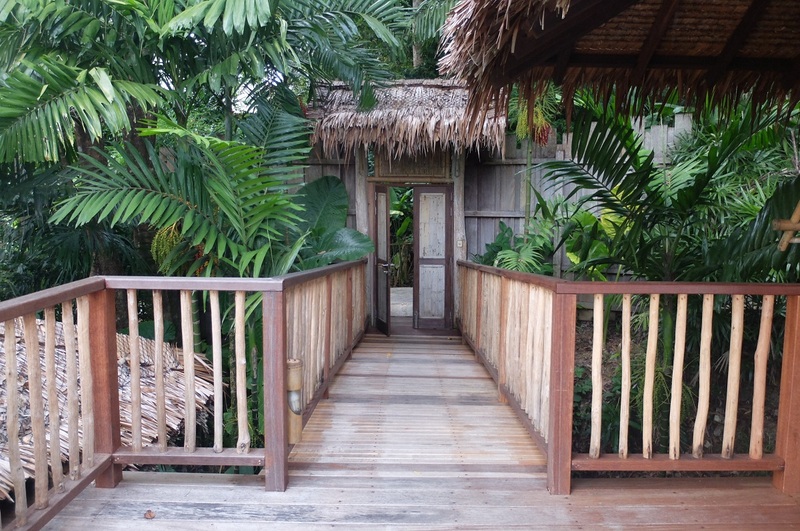 The hard-wood floors give a very ‘Anthropology Store’ feel but with a more artisan flair. Prices moderate. HOME ACCESSORIES | Lisa Corti, Piazza Ghiberti Lorenzo, 33/R, 50122 Firenze. From mezzeri to mandalas, cushions to curtains and drapes, right through to clothing for adults and children, this shop has it all. It’s impossible not to find something you’ll like, I love browsing this store and getting a coffee at nearby Cibreo. LEATHER | Scuola del Cuoio, via s/giuseppe 5r. The leather school of Florence is iconic in Florence, created first to give a trade to orphans from WWII and still known as THE place for leather items in the city. Here you can be assured of its authenticity. Plus the place itself is quite cool to visit, you can see the workers at the old stands, they have a nice variety of true leather jackets and handbags, as well as cheaper cool accessories to take home. Prices range from budget (souvenirs) to high (leather jackets). 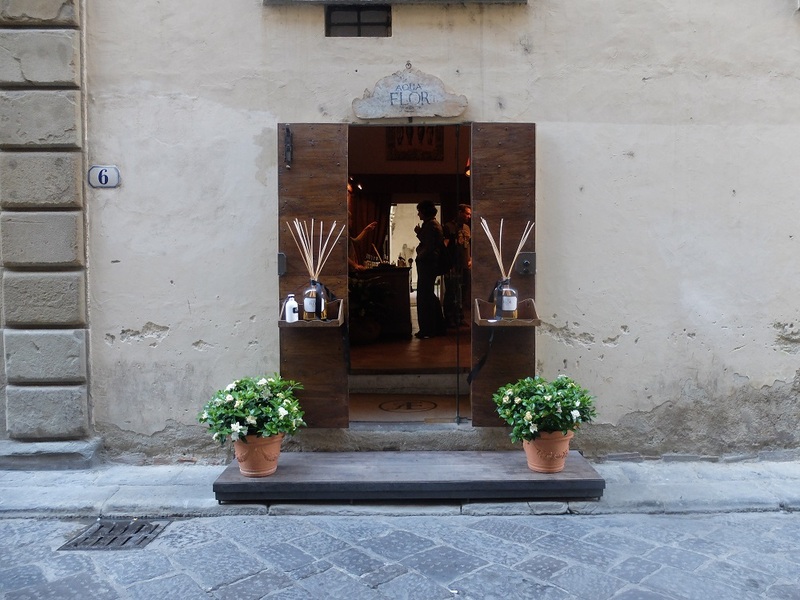 ARTISAN PERFUME | Aqua Flor, Via Borgo Santa Croce, 6. This is a luxury perfumery specializing in artisan scents, entering is like visiting an alter universe. This store is so cool, you can customize your own perfume, pick up soaps, house scents and more. Prices range from moderate to expensive. website. ANTIQUE BOOKS | Abacus, via ginori 28-30r. I have what you could call, a thing, for beautiful antique books. Luckily in Florence, there is plenty to choose from and this store is one of my favorite shops in San Lorenzo. They use traditional techniques for book preservation and it is just as interesting to see in person. VINTAGE | Desii Vintage, via dei conti 19r. It is pretty hard to miss this place since they almost always have three standing chairs, in Italy colors (red, white and green) outside the shop. Inside you will find a wide variety of vintage options, clothes, shoes, belts and more for both men and women. LEATHER | Via de’ Ginori, 23r. The shop’s name is actually the address which makes it convinient to remember, but what is nice is that it is an oasis of cool leather items such as briefcases, purses, wallets and more in a neighborhood that to be honest, sells a lot of fake crap. Ask to visit the workshop in the back. CLOTHING | MuseLab, via romana 142r. I was wandering in porta romana when I came across this small gem and I am so happy I did. The ladies who own and operate Muselab could not be sweeter, and their clothes are so interesting. I would describe the style as monochrome, bold pieces. Things can have a lot of fun accessorizing. Prices Moderate. GIFTS: Anita Russo ceramics, via Romana 11/r. One of the shops I always visit before going home, Anita is a local artisan who owns her own ‘bottega’ on the hip street via romana. She makes her own ceramic goods, and they are simply beautiful, a range of cups, lamps, plates and a variety of items for the home, you can also make ceramics with her as well, through a private class. Prices: budget. GIFTS | OboFirenze, Via Romana 42r. lovely new shop featuring the creative work of one Italian and one Norwegian, Francesca and Cathrine who produce a design-minded collection of gifts (awesome souvenirs) including plate wear, cushions, scented candles, Dante/Venere coasters and other delightful items. GLOVES | Madova, Via de’ Guicciardini, 1/red. THE shop to buy handmade, beautiful leather gloves in the Oltrarno, very close to the Ponte Vecchio, and the only spot that makes their gloves on-site. This traditional shop has been around since the 1950’s (and later, but at a different location). Options range from classic cool, lined with luscious cashmere to more modern options and a few wild-cards. Open daily 10:30-7pm, closed Sunday. It’s quickly getting cooler at night which makes me think of buttery soft gloves, lined in a soft cashmere or whatever you’d like. My top choice for shops in #YourFlorence is Madova on Via de Guicciardini, it happens to be the only(or one of the only) places that makes their ‘guanti’ (gloves) on-site for a true #MadeinItaly souvenir. CONCEPT | Atelier Via Maggio, via maggio 78r. This gem of a boutique is a family run business by Alessandra and her two daughters who focus on high-end Made in Italy fabrics, clothes, lingerie, accessories, shoes and more. It’s the kind of place that you can grab a coffee, have a chat, pet a dog and discover some really interesting designs. I’m in love with their cotton one piece swimsuits. 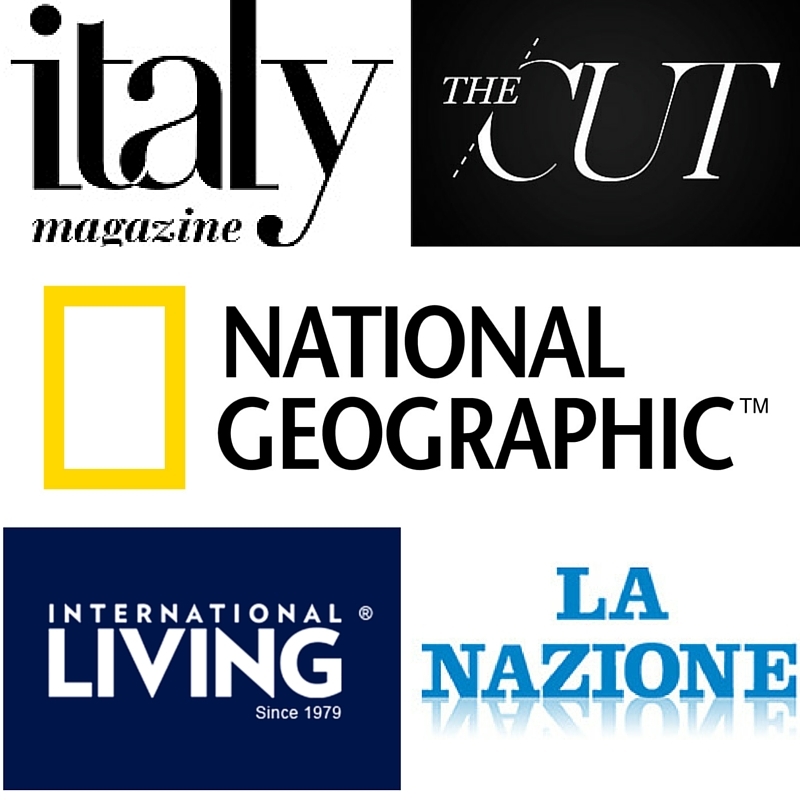 Also keep an eye out for their events including dinners in the Atelier, collaborations with Pitti Uomo and more. Jewelry & Fashion | Nokike, via serragli 122r. This is a recent discovery for me and after popping my head in a few too many times I’m convinced that this place is a real gem. A small store that carries artisan-made accessories and clothes, you’d be hard-pressed not to find something you’d like. From gold plated leaf necklaces, bejeweled sweaters to minimalist jewels. Jewelry | A Thousand Joys, Borgo San Jacopo 11. I love the jewelry see that is almost entirely made of recycled silver by artisan Joy Franklin and modeled after historical ornaments with often art deco elements. A welcome addition and perfect juxtaposition with the gold ateliers on the Ponte Vecchio. Magazines & More | Bjork, address: Via dello Sprone, 25R. This very cool hipster-friendly independent retailer and concept shop is actually down my street and is home to a variety of delights. Not least of all a great selection of eclectic magazines that are hard to find elsewhere (Kinfolk, I’m looking at you). Also on hand are a selection of clothing and accessories from interesting International designers, there are few watches that have been begging me to revisit soon. HAUTE COUTURE | Tiziana Alemanni, Sdrucciolo de’ Pitti 20. Tiziana’s shop is a treasure trove of beautiful designs by this talented tailor in the heart of the Oltrarno. You will find both read-to-wear outfits, pretty floral dresses and black-tie attire or have a frock especially designed for you. Bags | Dimitri Villoresi, Via dell’Ardiglione, 22. A find in the streets of the Oltrarno, Dimitri’s workshop is home to an abundance of deconstructed, hand-stitched travel cases, bags and other various items. My friend AlidiFirenze introduced me to the brand and I’m in love, also because of Dimitri’s technical knowledge and passion on making a traditional craft that also has a modern style. HANDMADE | Giulia Materia, Sdrucciolo de’ Pitti 13r. This store is the brainchild of artisan Giulia, originally from Arezzo and whose childhood face bares the logo of this small, but charming shop just steps from Palazzo Pitti. Inside you will find hand-bound colorful notebooks and pretty dresses, everything ‘made in Italy’ (but really) and many items created from recycled goods. ACCESSORIES | Uashmama, Borgo S. Jacopo, 30r. A unique Tuscan-based company that has found fame around the world with their paper-based items made into stylish bread baskets, handbags, wallets, placemats and much more. Another bonus? The bags are completely washable. Great place to pick up a gift! ACCESSORIES | Campucc10, via del campuccio, 10R. A co-sharing artistic space features the work of several young designers in one shop window that always catches my eye when I walk past on Via Romana. They have everything from bold jewelry to plate wear and home accessories. ARTISAN-MADE | Zouganista di Takafumi Mochizuki, Via dei Cardatori, 20. Takafumi is a Tokyo-born artisan who has studied the art of furniture restoration and inlay wood under under wood-worker Renato near my house. His tiny bottega is on the backstreets of the San Frediano neighborhood and features an eclectic mix of home decor, restored furniture, money clips, frames featuring famous Florentine attractions made with inlayed wood. Takafumi also worked almost exclusively with custom orders. JEWELRY | Angela Caputi, Via di Santo Spirito, 58. One of the most iconic and best ‘made in Italy’ success stories in Florence. Anita’s bold and colorful jewelry combine modern styling with traditional techniques, and they have adorned the necks and earlobes of famous people. I should mention that her work has a place in Palazzo Pitti’s Costume Gallery and is accessible to the common folk. Prices are more than reasonable. ACCESSORIES | Wood&Cut, Via Bartolini 1/3 rosso. A tiny little space on a small street near piazza del carmine, two ladies make interesting objects out of wood, in a sustainable manner. From earrings to wine stoppers to home accessories, you will be delighted at the range of great items that make great souvenirs that are truly made in Italy by two passionate women. Read more about them here. GIFTS | Tabesce, via romana 39r. Another ‘made in Italy’ spot that is a wonderful place to shop for gifts, the owner Chiara is super friendly and will explain any item and offer you tea, what more can you want? I love my hedgehog table piece made out of an old journal and glass blown products that we often pick up for friends or relatives. They also sell fun handmade hats, that they can fit to your head and pretty jewelry, often made of blown glass. JEWELRY | Officine Nora, Via dei Preti, 4. This place is one of the coolest spots in the city in Santo Spirito, the concept is WORK/SHOP for contemporary jewelry makers and lovers, and a sort of ‘see where it’s made shop’ for the public as well. If you want something unique and special , this is the place to get it. I love all of their work, everything is made with passion here. CLOTHES | Hello Wonderful, Via Santa Monaca, 2. This small, inviting shop is close to Piazza Carmine and is the brainchild of designer Livia Quaresmini and her partner. Beautiful clothes made from recycled cloth make their home in this very bright and cheery modern shop. They can custom orders and tailor the clothes to your body, which is a huge plus. It’s a great spot for true authentic, made in Italy, designs. VINTAGE | Ceri Vintage, Via dei Serragli, 26. A fun shop that is a bit of an institution among locals who appreciate unique war period pieces mixed with classy vintage treasures from timeless brands (like Prada) collected personally by owner Danilo Ceri. I adore this shop, it is full of treasures. STATIONARY | Le 18 Lune di Chiara Alberti, via romana 18/r. A tiny little spot selling small gifts and beautifully designed cards with Florentine motives in illustrated form. PRINTS | L’Ippogrif, Via Santo Spirito, 5r. This special place sells prints (using copper) and is owned by artisan Gianni Raffaelli. One of those places that you really should make some time to chat with the people inside as their craft may not be around forever. DRESSES | L’Abito Che… Vorrei, via romana 62r. A wonderful clothing store by talented artisan Giuliana Becattini whose shop is 110% Italian. Everything in there is made using quality materials and she will also create a dress that is especially for you, tailoring services including. I would describe her style as shabby chic, stylish and very comfortable. The sort of items that are timeless, plus she happens to be really nice. MEN & WOMEN CLOTHING | Dexter, via maggio 7r. A small shop founded in 2011 featuring very cool bohemian, vintage-inspired clothing with a culture edge by up and coming designers hand-delected by the cool owner. Expect plenty of textures and warm colors, for something a little different, definitely recommend a visit. facebook page. CONCEPT | Coexist, Piazza Nazario Sauro22R. Brand new concept store selling interesting minimalist-style clothing for men and women, along with accessories, music, and hard-to-find magazines. Very hipster. Located next to Geletaria Carraia. Il Cortile di Marianna Bartolucci | Via dei Serragli, 12. This cute shop on via serragli sells women clothes, artisan-made shoes, handcrafted jewelry and the most beautiful underwear and bras I’ve seen in a long time. Quite simply put, this place is a gem. Marina Calamai | via santo spirito 14. A local Florentine artist who also studied in Paris has a beautiful 360 -degree panoramic studio in the Oltrarno where she works on both her art and custom made jewelry, homewares. I especially love her bronze-plated accessories, cupcake inspired ring line and vitamin place mats. Albrici | Via dei Serragli, 20r, an antique store from 1961 that also sells high-end vintage clothes is a recent find. In fact, I’d argue one of the best finds this year along the category of “stores I used to walk past.” Make sure to explore every nook and cranny to revisit fashion throughout the decades. JEWELRY ARTISAN | Sara Amrhein, Via dello sprone6. Sara is a wonderful person that I recently featured on my localsILove interview series on the blog. She is a local artisan specializing in bold, expressive polymer clay art jewelry that are the perfect statement pieces. website. Prices moderate. CLOTHING | Quelle Tre Di Cecilia Luciana E Cristiana Scardigli, Via di Santo Spirito, 42. Three brilliant women who’s shop in the Oltrarno is one of my favorites to window shop for interesting clothing with a bohemian edge. Here you’ll find handcrafted dresses, skirts, shawls, bags, along with items for children. CLOTHING & MORE | Societè Anonyme, Via Niccolini 3 f, ang. Via della Mattonaia 24/a/b/c/d . I adore this independent shop, stylish boutique and concept store nestled in the Sant’Ambrogio neighborhood. It has a North-European concept, as was inspired by underground spots in Berlin & London. Website. JEWELRY | L’Atelier Artisanal di Caroline Broussard, Borgo Pinti 75r. I love this tiny shop selling artisan-made jewelry by a French native who strives to use natural stones and non-iritatting metals (great for people like who me who often get red ears after putting on non silver-based earrings). Prices range around 15€-30 per product, have a look at her handmade pendents and layer necklaces too. HISTORICAL PERFUMERY/GIFTS: Officina Profumo – Farmaceutica di Santa Maria Novella. via della spada 16. One of the oldest pharmacies in the world, you cannot miss this place. Browse each room slowly and make sure to pick up some of the more famous items, such as the rose tonic water and the ladybug liquor. You can also have a glass of tea here, it is pretty amazing to see in person. prices: moderate. HANDMADE LEATHER NOTEBOOKS | Il Torchio, via dei bardi 17. One of my favorite shops in Florence is run by Canadian, ‘new Florentine’ Erin who is a modern artisan creating a selection of unique leather-bound notebooks (which she can personalize), photo albums, stationary, address books and more. STREET ART/GIFTS | Clet’s Studio, Via dell’Olmo, 8. One of the city’s most iconic street artists, Clet Abraham, has a studio in the San Niccolo neighborhood of the city. Likely you will spot one of his modified signs around town. Here you can browse some of his most famous works, along with fun gifts such as street art stickers, sketches and more. JEWELRY | Alessandro Dari, via san niccolo 155r. Just as much a museum as a shop, I love taking people to Alessandro’s eclectic studio for a look around his interesting architecturally-driven jewelry that resemble sculptures. He is 100% self-taught and uses his studio not only as a showroom, but also as a workshop, you can often peek him working on his latest creation in a small back corner. He also teaches private classes to small groups. PERFUME | Lorenzo Villoresi, via dei bardi 14. A custom-perfume artisan located in the San Niccolo neighborhood, he has dedicated clients from all over the world, he also carries a line of home fragrances, candles and my favorite, his scented stones! SHOES | New Kid Footwear: Shoes & More, Via del Ghirlandaio, 18. 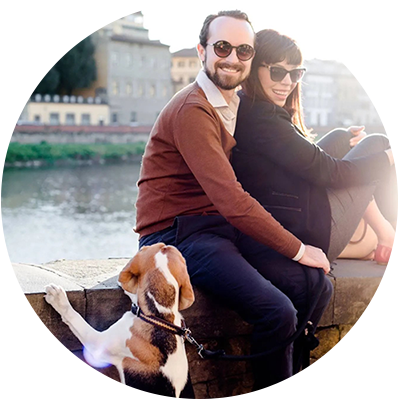 Here you will find trendy women’s and men’s Italian leather shoes, tote bags and clutches, their products are made in Tuscany, in the valley between Pisa and Florence and they take special attention to source local materials and support small family run businesses. Italians love their markets and let’s be honest here, who doesn’t love instagramming a picture from their latest farmer’s market trip downtown, a colorful medley of fresh squash and peaches. Ready for the taking. Well Florence has all of that and more and to get the most out of your holiday make sure to visit a few! Below I have categorized them by type. Porcellino Market – think ‘wild boar’ in piazza Mercato Nuovo, Loggia del Porcellino. Open daily. Here you can get your 5 euros sarves, bags, purses, keychains and take a selfie with the most popular boar in town, don’t forget to rub his nose for good luck! San Lorenzo Market around Piazza San Lorenzo (has recently been moved), but you can find it still off of via nazionale and the mercato centrale (plus behind). Here you will find a larger selection of tourist goods, not all made-in-italy but definitely fun to walk through. Open Daily. Flower Market: Piazza della Repubblica, every Thursday morning (halts in August). I adore this market, not only because its vibrant atmosphere is like a Tuscan dream, also because prices are cheap. Allowing me to replace the plants I kill regularly. Mercato Centrale in the San Lorenzo Neighborhood, open daily until around 2pm. An institution of a place, with vendors hawking all sorts of products, from fish to exotic fruits. Upstairs you will find the fancy food court I adore which makes this area even more awesome! Sant’Ambrogio Market, east of the city in Piazza Ghiberti. Open until around 1pm, here is where I normally shop for fruits & veggies., plus meats, fish and cheeses. There is something about this place that makes you want to embrace a healthy lifestyle once and for all. Plus everything is really really nice. 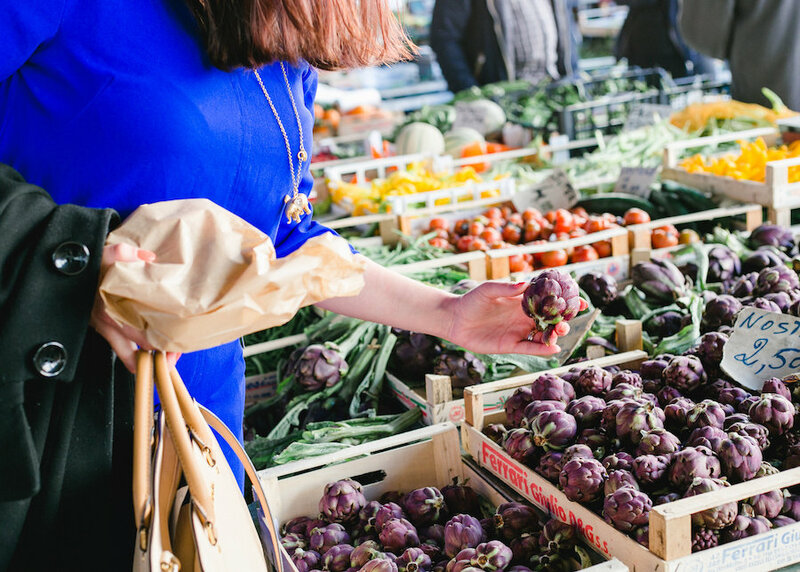 Fierucola market, Piazza Santo Spirito – every third Sunday of the month. The organic lover’s dream, this market has all sorts of local bio-products, including quality honey’s, cheeses and olive oil. Ciompi Market located in Piazza dei Ciompi, every day but Sunday (except for the last Sunday which makes for a huge extension of the regular market). A fun place that I love to walk through and search for vintage sunglasses, old city keys, maps, record players that I cannot afford and more. This is one of my favorite places in all of Florence. *** The flea market has been temporarily moved to nearby Piazza Annigoni while the ciompi area undergoes renovations. Antiques Market at the Fortezza da Basso, west of the city not far from the Santa Maria Novella Train Station. This market is held on the third saturday and sunday of the month and is the mother of antique markets in Florence. You can find some real gems here, just check out the photos from Birgitte’s Blog ‘A Dusty Olive Green’. Santo Spirito Market, Piazza Santo Spirito, every second Sunday of the month. I love this market because it’s in the oltrarno and I have often found cool stuff here to boot. Le Cascine market at Le Cascine Park every Tuesday from 7am to 2pm. This market has been here as long as I can remember and combines everything from old sweaters, farmer’s market products, shoes, scarves, anything youdidn’t know you needed. There are plenty of options when it comes to cooking classes in Florence. My favorites include The Food Studio, in the oltrarno neighborhood, and Desinare (which has a truly incredible space). Though for a TRUE experience, I highly recommend the cooking class offered by Giulia of the blog, Jul’s Kitchen. Just a short bus ride away from Florence, you can market shop in a beautiful little town where she grew up and learn how to cook simple, wonderful Tuscan meals with someone I truly think is a gem. Her little house is almost a ‘borgo’ (Tuscan hamlet) in itself. Highly recommend. My go-to trusted wine tour company is most definitely Degustibus. They are an association that believes in local, small producers and they will take you on a small group tour in Chianti, Montepulciano or anywhere you might be thinking. 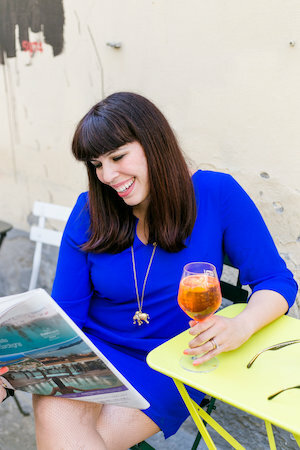 For the best food tour in Florence go on one of the Curious Appetite gourmet food experiences cultivated by local expert Coral Sisk, guide and blogger of The Curious Appetite, I went on their aperitivo tour and had a wonderful time. This is a team who knows quality and knows how to have a good time too. My Tours does a little bit of everything, but what I think is truly special are their Chianti Vintage Fiat 500 tour, be a rider if you don’t feel up to learning how to double-clutch, but riding in these guys is such a wonderful experience. Ride a Tuk Tuk, you know those cute little three-wheeled cars, in a small tour around Florence. While I secretly hate segways (not really a secret) this instead seems like a lot more fun. My friends who have been on this tour truly enjoy it. For a personalized, high-end tour by experts that will wine and dine you with ease. Go with Annie and Rome and Tuscany Tours, this is definitely more for those with a budget, but they offer a more curated experience. I especially am impressed with their new itinerary for a unique shopping tour taking you into real Italian leather factories with a local handbag designer, plus fancypants lunches! For art history and private tours, I really like Alexandra Lawrence and Molly McIlWrath both of whom I personally have done tours for. I also highly recommend the tours offered by Context Travel, which used highly-educated guides who go more in-depth (in a fun way) all over Europe. Where to access WIFi and get a coffee at the same time. Make your own wine tour this Fall or Winter in Florence, my tips! Useful info about Florence, Italy that you should read before coming. Learn about Florence via literature, check out my “itinerary” through the city by reading books. Be brave and try local specialities like Trippa & lampredotto! Invite your friends over and have some else come make brunch for you – this is one company that will! Escape to the countryside for a fabulous lunch overlooking the hills of Tuscany, this place is only 18 km away! What about a coffee overlooking one of the best views of Florence? Check this out. My top budget lunch spot in the center – you have to eat here! This museum is a hidden find in Florence and well worth a bus ride! Winter Blues getting you down? 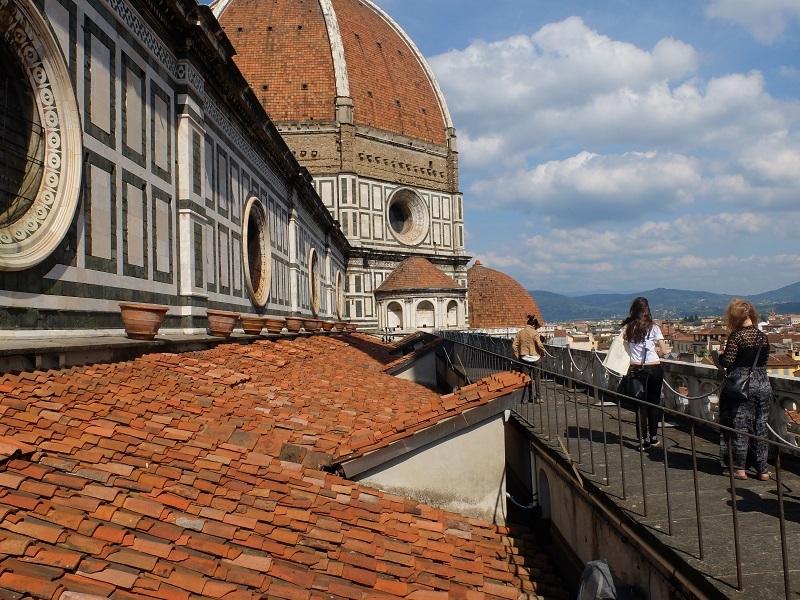 Here are 5 Tips to battling the blues in Florence. Visiting the Vasari Corridor, if possible, is one of the BEST things you can do in Florence. Many locals haven’t been! How to stay cool next summer in Florence. tips here. Tour Florence’s gorgeous hidden terraces on top of many really nice hotels. They are open to the public in the warmer months. Visit Florence’s gorgeous Rose garden located underneath Piazzale Michelangelo. The perfect place to get the perfect panoramic view of the city and if your lucky, see beautiful flowers in bloom. Love to Dance? Check out my current list of clubs to shake your booty around the city. If the weather is not cooperating, this post has a great creative store where you can get all sorts of neat gadgets, games and gifts. Check out one of my favorite parks in Florence, Villa Favard (bring a picnic and some friends). Rent a bike (only 3 euros for an entire day for residents, and cheap for non-residents as well). Bike stands are at the train station Santa Maria Novella and Piazza Santa Croce and close around 7pm or when they “feel” like it. Florence has several film-festivals throughout the year, usually during spring and fall and here what was on the big screen this spring. Did you know there is a gorgeous Russian Orthodox church located near the Fortezza di Basso? It’s worth a visit and be sure to visit one of the antique markets on select saturday-sundays in the city. Hide out in one of the cities several library-cafe’s. Bring a book or take the opportunity to catch up with a good friend. If you’re a history nerd like me, get on the bus and visit one of the war cemeteries on the outskirts. Not only are the areas where the cemeteries are located stunning, it’s a chance to learn more about WWII and read the touching inscriptions of family members visiting the cemetery. Visit the (free) gorgeous church of San Miniato al Monte above Piazzale Michelangelo. Best views of the city and 1,000 years of history in one place. Be silly with your friends and take some vintage photos in the photobooth-fotoautomatica located on via agnolo. Warning, it can be addictive. Vintage is pretty popular in Italy, there are many shops in the center with cool items for sale and specific festivals. It is expensive but like me, you can always window shop for free. Step up your Italian-language learning and go to the movies. It’s a great way to beat the heat (or cold) and local cinemas offer special promotional cards to help save more cash. San Galgano’s abbey is rumored to be where the story of King Artur’s “sword in the stone” came about. Indeed there is a medieval sword stuck in the stone in the chapel above the monastery. Highly recommend visiting (they also hold opera’s in the open-air abbey). Hiking is one of my passions (when I’m not eating) and there is plenty of choice for those who love the art of trekking. My favorite place to go is here, close to my favorite restaurant, coincidence? I think not. A more detailed post about my Sunday escape to Monte Giovi – 30 minutes from Florence. Budget ideas/tips for those who want to experience Italy’s famous carnivale. Everyone should visit at least once. You can see 2013 carnivale updates in my February list of events. Our first time to Viareggio’s carnivale celebrations. Get out of the city and take a day-trip to Pistoia. Great Saturday markets and gorgeous surrounding countryside, who knows you may just meet a donkey like we did. Every year this small pretty town located close to Florence in lastra a signa has a really cute medieval festival. Fun for kids and adults alike. I really wish I had found your blog the last couple times I was in Florence. Will definitely be noting things for next time!! no problem! I have only really been consistently writing this past year 🙂 stop by anytime! I am absolutely obsessed with your blog! I can’t wait to study in Florence next sprig and will definitely be using you as a resource to get to know the city and culture. I noticed that your links to both the budget ideas (Carnivale) and itinerary link (literature) are broken! 🙁 I thought you may want to know. Thanks for the awesome blog! Sammi that’s so exciting, it will be a one in a lifetime experience, no doubt! Thank you so much for letting me know about the links, I will fix them asap! I’m so so so glad that I’ve stumbled upon your blog a week before my trip to Florence ( 3 days ) and onto Slovenia right after in March 2013! Didn’t have the time to plan and I really thank my lucky stars for all the insights you’ve provided. Do let me know if you’ve found any new places to check out in Forence. March is a pretty awesome month to be in Florence (and Slovenia), Keep an eye out the first days of March for my list of events so you won’t miss anything awesome, and have a great trip! I just arrived here with hubby and 3 adult kids, and just found your blog. We came to Florence because our travel agent said a must see!!! I am in charge of this group and not exactly sure what to do 1st, I would love to see rose garden, country side, possibly food tour, we already have a walking tour set up and of coarse in town shopping gucci museum looks interesting, but other 3 days on our own. Thought to go to Venice one day but after reading your blog am convinced that Florence has so much to offer. To get to most of these fabulous places can you walk or is it best to travel by train or taxi?? Enjoyed reading your blog. Hello Susanne! First of all thank you so much for reading my blog and welcome you, and your family to Florence! With the exception of the countryside, you can do all of this by walking or taking the bus as Florence is a very small city. Depending on where you are based, most everything is within walking distance. Some off the beaten path recommendations are the Stibbert Museum (this is a short bus ride away), Fiesole and perhaps even think about getting a taxi one day and go to an agriturismo with a pool to just relax, like this one http://girlinflorence.com/2013/04/15/fattoria-lavacchio-organic-farm-in-tuscany/! Have a great trip! Thank you so much for your recommendations and again for your blog. One day, we ended up renting a car went to Siena and then traveled the country side to make a short visit to the Fattoria-lavacchio. We would not have seen such beauty if we did not have a destination. We loved Florence and will for sure be back to Relax and enjoy. Love your blog! Headed to Florence on Tuesday, Oct. 15th for a week and the info here is PERFECT! Thank you. Wow, you’re better than Tourist Info!!! Am coming to Firenze in 3 weeks so finding your blog is perfectly timed and will come in very handy!! If you had to recommend your top 3 things to see or do in Firenze for 2 ladies, what would they be??! it ranges but its usually not under 50 or 60 euros (expensive I know but its because the corridor itself isn’t open that often). Alexandra is a fantastic tour guide and I found her very interesting – highly recommend! I have one more question and it is about the weather in May. At the end of the month – to be exact. 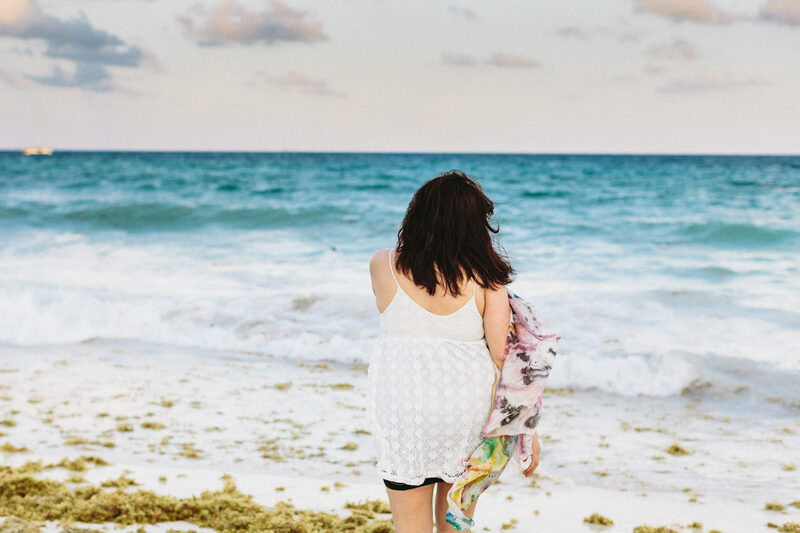 Is it possible to swim if we decide to go to the sea? It is really hard for to tell you exactly what the weather will be like since it varies so much. Normally people swim in the sea starting in late June but depending on the weather, it’s anyones guess! I’m studying abroad this upcoming fall in Florence, so ill be studying your blog any tips for me money wise. what would you suggest my weekly budget should be? Hey, im going to study abroad this upcoming fall and im SUPER nervous about money what do you think my weekly budget should be? Hello Alex, first of all congrats on studying abroad – it’s sure to be an experience you will never forget! As for budget, its so hard to tell someone that since it really depends on your life style. Rent will probably range around 400-450 for a room in a rented apartment. Food probably around 50 euro a week (grocery store). Lunch is cheaper then dinner out, and they have something called ‘aperitivo’ which is Italian happy hour. Basically you get a drink and can eat at a buffet for around 7-10 euros, its pretty cool! Hi, can you suggest any good place for children? We have two, ages 2 and 4. I found this to be an awesome guide when recommending what to do with kids in Florence, otherwise do bring them to this new outdoor space by a large park that is very kid friendly. Have a wonderful trip! Love your blog! 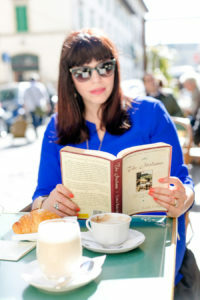 Why i cant find your blog early, I really wish get married in Florence. Now, i cant change my plan but maybe make a other plan visit Florence in next year. Thanks you! my painting group is going to Paris, Florence and Rome in January. Do you have any hints on what/where we should go for our 3 days in Florence? Hoping for a wine tasting school or something of the like. Hi! Me and my friend are traveling to Venice and want to come to Florence for a day. What would you say are the highlights that we can fit into one day? I would definitely read this article because Lisa Condie is so right on ‘do this not that’ , Also head to the oblate library cafe for an awesome view with your coffee and for a really special hot chocolat – Hemingways in piazza carmine can’t be beat. Have a great trip! Hi, my family and I are visiting Florence in June (4-7), where can we go for the best lasagna? Hot chocolate? Great blog! My wife was thinking of buying leather sandals (and I’m thinking of shoes and suits), any suggestions? Thanks! Hi there! Your blog is so very helpful & informative, thanks for posting such great stuff! Florence is one of my favorite places on earth – I studied abroad there about ten years ago and have had the good fortune to return a few times since then. I am currently transitioning between careers and may find myself in Florence for a month or two to clear my head and get some clarity. Using your tips I intend to live like a local and just observe the beauty of this great city! Do you have any tips for would-be temporary residents like me as far as being able to enjoy the sights of the city at a low cost? For example, if I wanted to visit the Boboli Gardens a few times a week (which I do! ), is there a way around having to buy a day pass every time? Any tips you could provide would be super helpful! Thank you! There are so many tips for enjoying the city on a budget on the regular! I’d be happy to advise. For example, residents of Florence should have free access to the Boboli gardens, you just have to go to the side entrance on via romana/porta romana “L’accesso al Giardino di Boboli per i residenti del Comune di Firenze è libero solo dagli ingressi di Annalena e di Porta Romana esibendo un documento d’identità.” Also there was a ‘friends of uffizi’ card that was a fantastic way to regularly see art. Also the first Sunday of every month, state museums are FREE to the public, while city ones are also free to local residents. Thank you so much! But a clarifying question – do you have any idea how a temporary resident of two months or so would prove residency? I can’t seem to find online what documents would be needed, or if a temporary resident would even be eligible for these perks. Thanks again! I wanted to say thank you because your post helped me a lot in planning my time in florence. What an amazing place! Thank you! That’s love to hear, thanks for taking the time to write and I hope you had a wonderful time. Hello Jasmin, you are in luck! At Ditta Artigianale on via dello sprone, they definitely offer coffee courses, I actually just had a convo about this recently with Francesco the owner. Contact them online or give them a call and I am sure you can arrange something. Hi! LOVE your blog and your Instagram! I was wondering if you could recommend a good private tour or small group that would take us to Chianti and Montecino/Montepulciano regions for a very full day trip! We would love to do a Tuscan lunch as well, but could definitely grab-and-go something from a local deli or market since we are hoping to cram in as much as possible in the day we have to explore wine country. Any thoughts?!! Hi, I live in Katy Texas and enjoy your Blog and post on FB. My two visits to Florence have been special times in my life. I can not wait to go again! Sometimes I share my photo’s on your FB post… During the last two visits to Florence, I spent some time at the Wilma’s Boutique which is located by the Ponte Vecchio. You should stop by to visit her shop…you might want to recommend it. Wonderful leather, jewelry, etc. I bought tons of Christmas gifts there in 2014. Hello, there, Great article! I agree, Florence is an outstanding city. Just imagine all the great artists who lived here. Someday I will go there to enjoy Florence and Italy. Thanks for all good resources. Thank you Patricia! Also for letting me know about the typo, I wonder who this “Sam” is and why he’s messing with my description of San Miniato ;-). hi! you’re blog is awesome. My husband and I are visiting Florence end of the month. I really loved the idea of the cooking class at Jul’s Kitchen but unfortunately they’re fully booked during the time we’re there. Any other similar suggestions please for a cooking class?? Hello there! I would send an email to http://curiousappetitetravel.com, they are really awesome and can surely arrange something local! Hi Gourgette! First of all, I love your blog! I read almost everything for me and my boyfriends trip to Florence this summer. I have one question for you, it’s my boyfriends birthday when we are in Florence, and I want to organise an amazing day with a really cool activity or somenthing like that (for example: last year I took him sailing in Barcelona). Do you maybe have any tips for me? Thank you June, it’s a forever labor of love as selfishly for myself as for other people. :-). Salute to you as well June! Just stumbled onto your wonderful blog in advance of my son’s wedding in Florence next July. Wondering if you might share your vast Florentine knowledge to give me any tips for a site for aperitivo for 50-60 people that can be booked for our guests the following night. I am talking to the hotel Cavour about their rooftop terrace. There are many (expensive) places but not many that are willing to let you book the entire place for two hours or so. A view would be good, but if there’s a cool aperitivo place with a special twist I’d love to hear about it! Grazie! Hi, I was wondering if you have any local yoga recommendations? Hello Essa, sure! My go-to gal is Shari at Sole Yoga Holidays (she does pop up lessons). I LOVE the ladies over at Relax Firenze, they have a beautiful studio overlooking Piazza della Repubblica, I’ve also heard good things about Radici Yoga. You have plenty of options :). I also spent a really good time there many of the times in my whole life and always spent lovely time with my family and friends. It is a best place for having fun and tourists can enjoy some time with buddies. I hope you will fully enjoy there like I enjoyed. We are making our first trip to Tuscany. We rented a house between Florence and Sienna in Greve in Chianti. Where do you recommend to visit in Tuscany. Also I would like to visit a winery and have a nice meal either at the vineyards or a farm house in Tuscany with my wife and 2 teenagers. Thank you for the help. I love the workshop of Officine Nora (you can find their work also on display at Florence Factory on Via dei Neri). What a great source of information! Been in Florence and it was time to remember! Amazing city with great food! This is an excellent overview – very comprehensive. 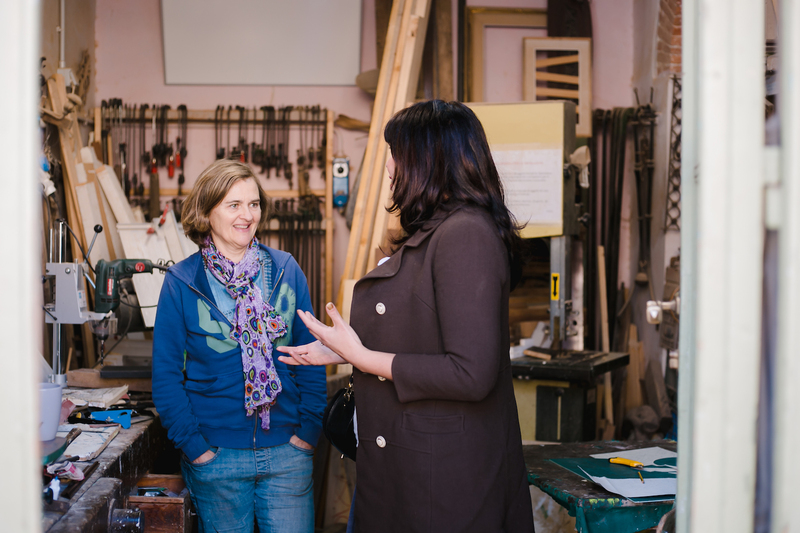 We are going to link our clients to it – if that’s OK – to help prepare them, for when they visit Florence with us. Nice site as well.